Civil Society organisations which played a key role in electing President Sirisena in January 2015, have strongly condemned his high pitched speech at the ‘Sathviru Sanhinda’ programme held at the Sri Lanka Foundation on Wednesday the 12th October 2016. 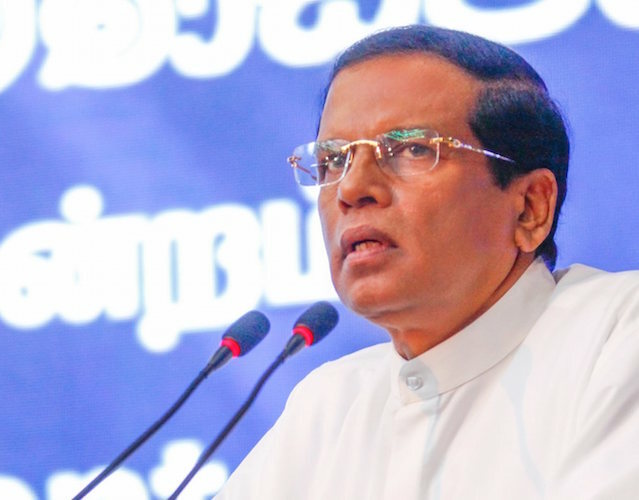 The organisations, Purawesi Balaya and the National Movement for a Just Society yesterday reminded Sirisena of his election manifesto and urged the allegation leveled at the Bribery Commission to be withdrawn. This is besides requesting him to end the intimidation of other investigative bodies. Who Hired The Retired Army Officer To Kill Lasantha, Or Was The Suicide Note A Plant? The value of the Civil Society at this juncture cannot be over-emphasized. Both Purawesi Balaya and the National Movement for a Just Society have to lead, on a daily basis in the electronic media and other fora, so that pressure is applied unrelentingly and the story does not fade away. We just freed our country from a clutches of a most evil dictator and his horrendous gang of thieves and we cannot slide into equally bad or a situation far worse. Along with the pressure, we need to concurrently appeal to the good senses of this President so that he realizes that the path he has now trod will surely engulf him to a point where there is no return. The very listenable and intelligent persons of both the above organizations will need to take the lead. But Oh, how we miss that erudite monk Sobitha thera at a juncture such as this? He gave us such splendid leadership in the face of tyranny. Somebody should save this man from destroying himself. Someone, but who will that be? And will he listen?